Congratulations, Dr. Laurie Dill, for being The Samaritan Counseling Center’s 2017 Maury D. Smith Award for Excellence in Professional Ethics recipient. The River Region Ethics in Business and Public Service Awards is a program of The Samaritan Counseling Center, Inc. in collaboration with Auburn University at Montgomery’s School of Business and School of Sciences. The propose of the program is to bring the importance of business and public service ethics to the forefront of communities throughout the River Region and to honor those individuals and companies that practice and believe in good ethics. 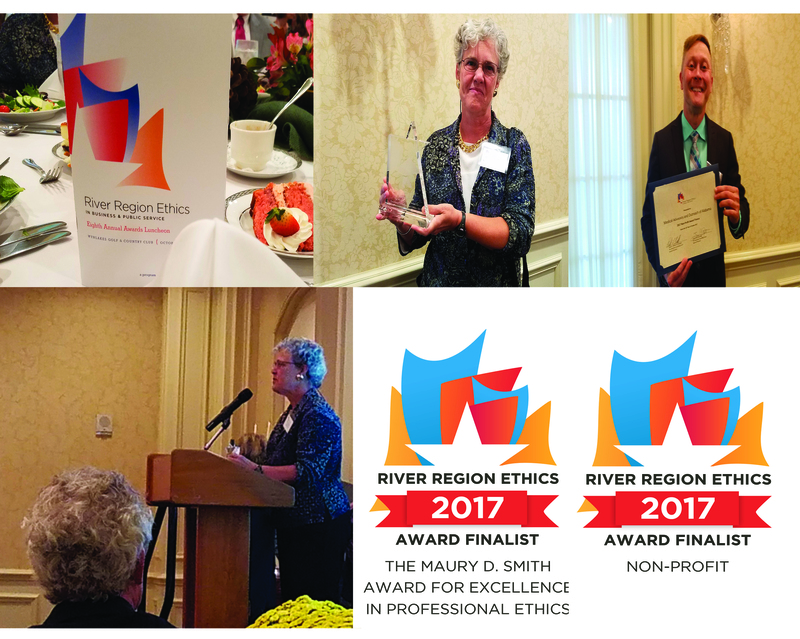 Medical Advocacy & Outreach (MAO) was also chosen as a finalist in the 2017 River Region Ethics Awards for its excellence in professional ethics as a non-profit organization. Dr. Dill and MAO joined other finalists and 2017 award recipients at a special luncheon hosted by The Samaritan Counseling Center on Monday, October 16th at Wynlakes Golf and Country Club in Montgomery. Thank you to MAO’s community colleagues for honoring us, and for joining us in our admiration of Dr. Dill’s dedication to quality care and human wellness.